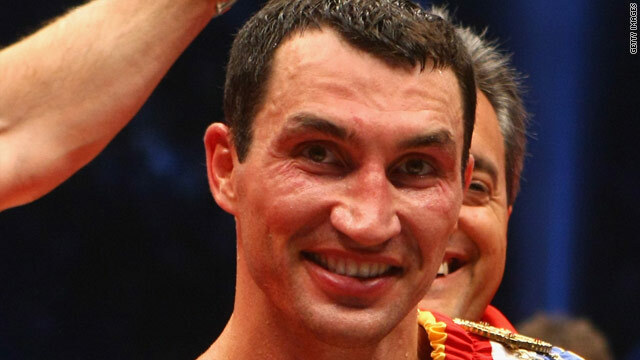 Klitschko's last fight saw him stop Ruslan Chagaev in the ninth round in Gelsenkirchen last June. (CNN) -- World heavyweight champion Wladimir Klitschko will defend his IBF, WBO and IBO titles against mandatory challenger Eddie Chambers in Duesseldorf on March 20. The Ukrainian's last bout saw him stop Ruslan Chagaev in the ninth round in Gelsenkirchen last June. This will be Klitschko's fifth defence of both his WBO and IBF title and the 33-year-old told reporters he will not take Chambers lightly. "Chambers is clearly the best current American heavyweight and there is a good reason why he is number one in the rankings," said Klitschko whose record includes 53 victories, 47 knock-outs and three defeats. The 27-year-old Chambers won the chance to face Klitschko when he won the eliminator against Alexander Dimitrenko last summer and says he expects to surprise the champion. Chambers is clearly the best current American heavyweight and there is a good reason why he is number one in the rankings. "I worked hard to get this shot at the title," Chambers, who has 35 victories with 18 knock-outs plus one defeat on his record, told reporters. "I plan on surprising Klitschko just like I surprised Dimitrenko and I want his three belts. I will not let this chance get away."